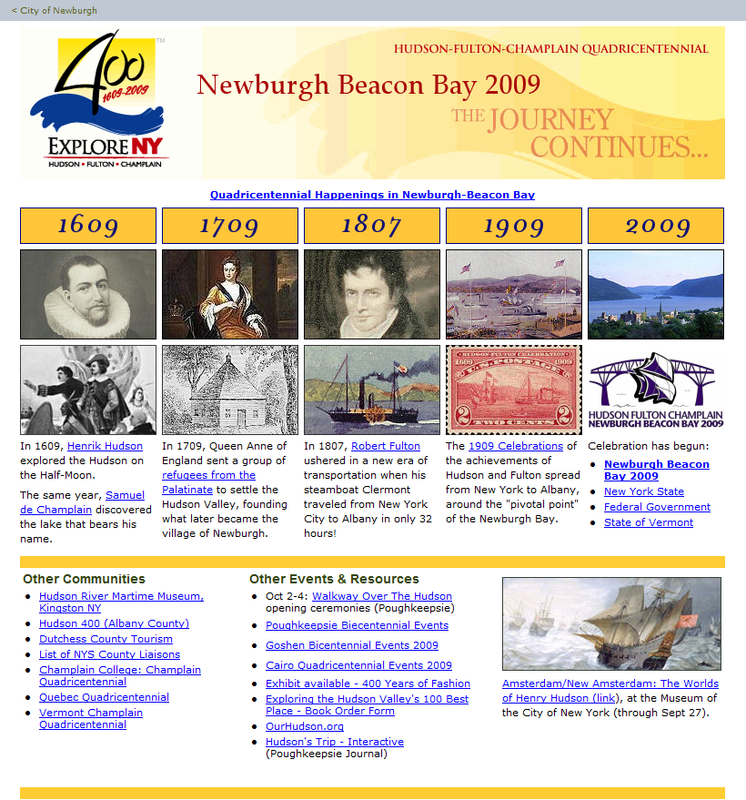 HDE won a competitive bid to re-design the City of Newburgh website in 2004. We set up a Contribute-based content management system, allowing some departments to update their own pages. We maintained the site until 2009. This site was written, designed and produced as a labor of love for the Newburgh Preservation Association and our efforts to restore a splendid Greek Revival former church designed in 1835 by A. J. Davis. The site was instrumental in getting the building named one of the "100 Most Endangered Sites" by the World Monuments Foundation. Sadly, after a few years, NPA gave up on the daunting project. This small, elegant site was designed for friends, the late Peter Billman and his wife Nancy, who continues to operate this charming and beautiful bed and breakfast on the prettiest street in Newburgh, NY, in the hear of the Hudson Valley. Werner & Turner LLC (2010): Professional law firm (now closed). Downing Film Center (2006): Independent film center. Now maintained by the client. Luxury Real-Estate Sites (2011, left): Led to successful sales (sites now decommissioned). In 1995, just before the web took hold, I served as design director on a small team in Philips Electronics in London whose mission was to combine a CD-I player with internet access for the home TV. Sadly, the world's first TV-based internet service was short-lived, as the web and other connected devices came barreling along.